Someone else has been using my stash this week — and I am so excited about it! 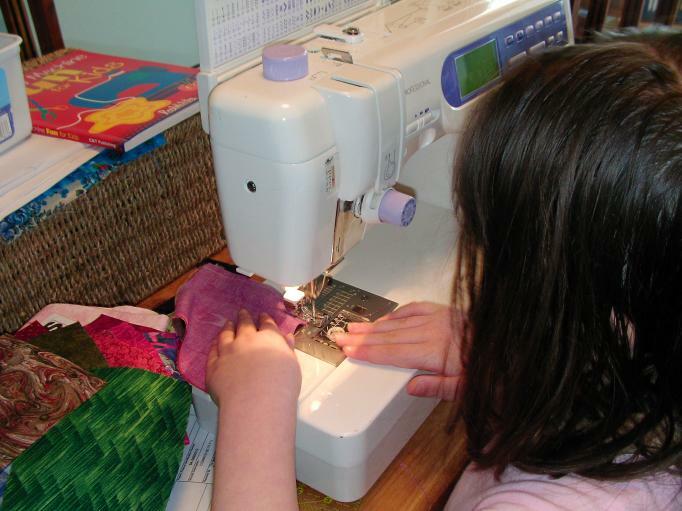 My 8-year-old daughter started making her first quilt yesterday. I shared with her some of the 5-inch squares that I had cut for the Puss in the Corner blocks. 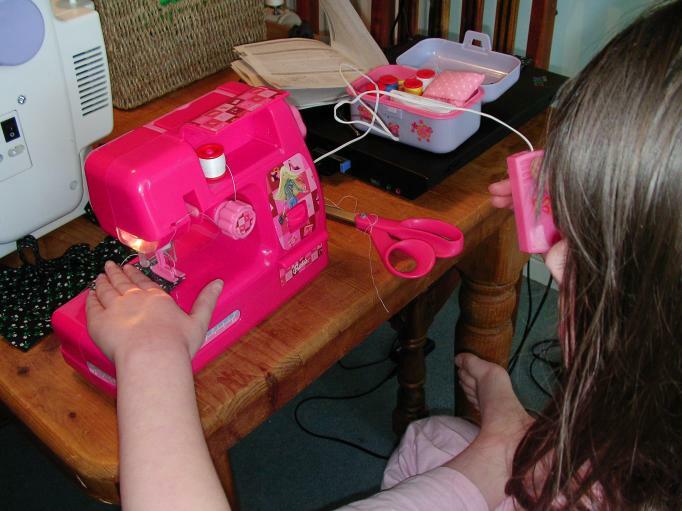 She started out sewing on her pink Barbie sewing machine. She has used our Singer 201K several times, and she’s really too advanced for a toy machine, so I switched her over to my big Janome. She did so well on that one that I turned her loose with the Jem Gold, and off she went! 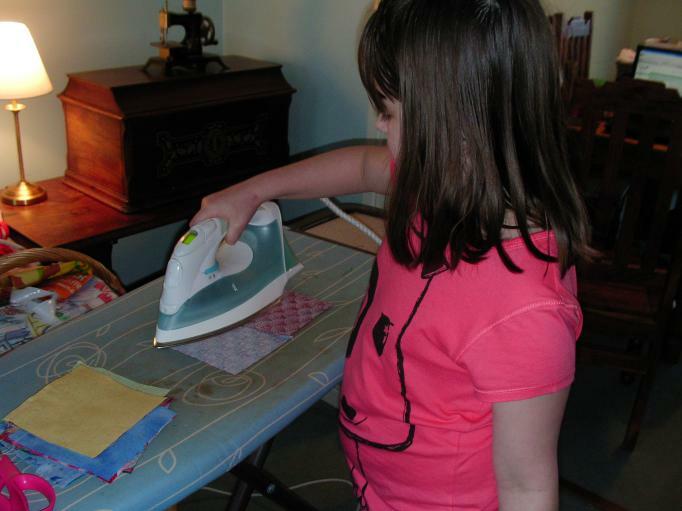 She also learned to use the iron yesterday to press her blocks. She was so sensible and careful — no burns and no accidents! I am very proud of my little quilter! 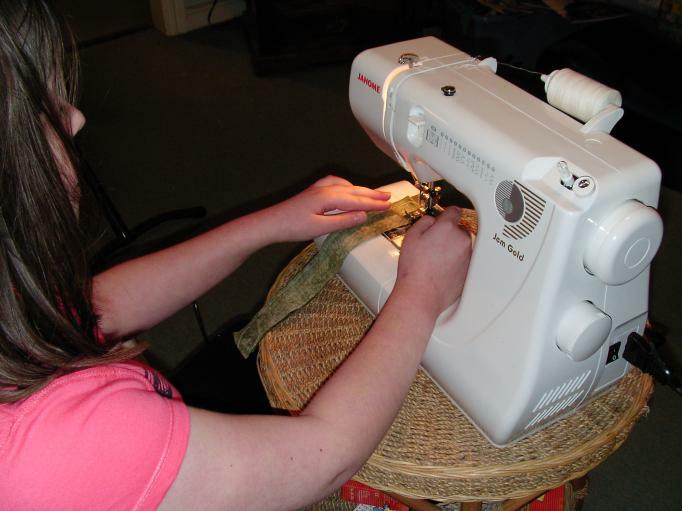 To see other Stash Reports today, please visit Judy’s blog, Patchwork Times.